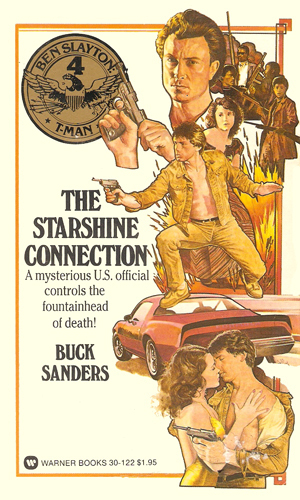 Ben Slayton is an agent for the U.S. Treasury. He is the epitome of secret agent, American style. He has worked for the Treasury Department for over six years as a troubleshooter and probably longer learning the ropes. He is 35 years old, a decorated fighter bomber pilot in Vietnam, avid stock car racer, and a black belt in a Korean martial art. He can also speak French, Spanish, German, and Russian like a native and is sophisticated enough to attend any sort of formal event or sit with his friends and drink beer in a local pub. Naturally, he is handsome and a gift to women around the world. In the Treasury, Slayton is known as a troubleshooter, not working any one particular department but sent anywhere there is a problem related to money that needs the services of a man who is good at investigation and good at solving the problems that he finds. Slayton is such a man and with his great knowledge of languages his area of operations is the entire globe. 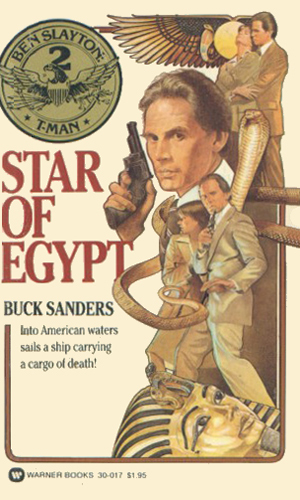 It is not unusual for Slayton to be given an assignment that causes him to travel to a new country and remain there for several months as the facts unfound and a solution to the trouble becomes clear. During that time, Slayton uses the opportunity to get to know the country and its people as though a native, staying as far away from the Embassy as possible to get a real taste of the locality. This insight into local attitudes and leanings has saved his backside on many occasions. Slayton is the man to call when there is more trouble than you can handle. He is unafraid to risk his neck or break the neck of a bad guy. 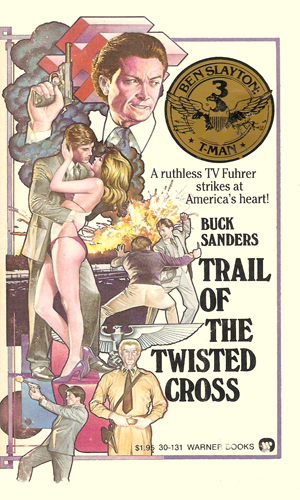 Note: The listed author, Buck Sanders, was a house pseudonym. At least two authors did the actually writing, doing two books apiece. The author of one books in as yet unknown. The murder of a Congressman in Munich was the first. Then a Senator is killed while visiting in Italy. Now the Vice-President is in London to visit the Prime Minister and there is evidence he is being targetted. A noted Arab terrorist has come into the U.S. with plans to train American student radicals in ways to kill and destroy with the ultimate target being the President. A resurging Nazi movement with a would-be Hitler has a fantastic plot to put a stranglehold on the nation's coal production while looking to grab a former President as insurance. The elite of Washington society are being killed off with a new deadly concoction of drugs and alcohol becomes the beverage of choice and a power in the nation's capital is behind it all. The latest terrorist to target the U.S. calls himself Baal and he is killing foreign diplomats and American politicians with abandon. 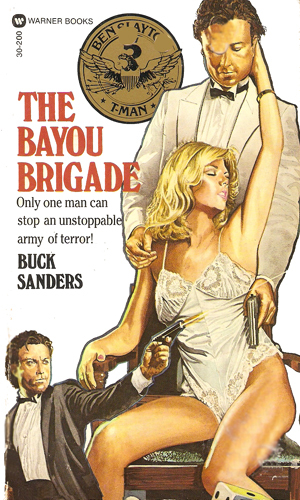 It is Ben Slayton's job to find him in his hideout in the Bayou and destroy him. Slayton is too rich, too handsome, too dashing, too seductive to be believed but you have to figure that the creator knew this and it was on purpose. 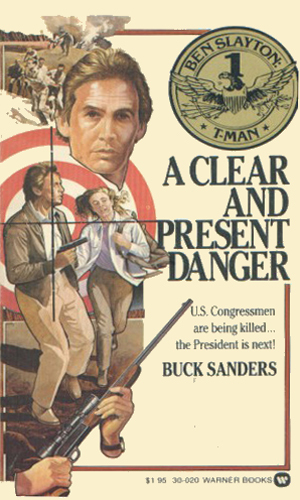 Since Buck Sanders was a house pseudonym for at least two different writers, the creator must have been a publishing editor. Read these with a LOT of salt handy and you are likely to enjoy them like I did. I did not say believe them!